Like your reading mighty? 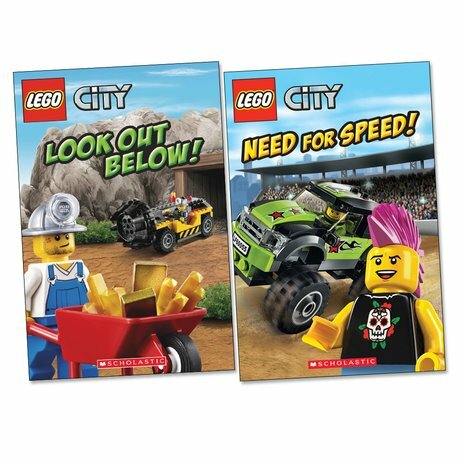 Then visit LEGO City. Caves of gold. Monster trucks. Time for a blast. Get your reading moving faster. Visit a city that’s always on the go. These short urban tales are bursting with turbo-charged thrills. Plus punchy colour pictures full of drama. Start at the city race track. What’s your vehicle: a car, roller skates or a monster truck? Next, we’re off to the mines just outside the city. Prepare to tunnel really deep – and maybe even find gold.